Andrew Morris is an orchestral and choral conductor, music educator, examiner and consultant. He is also a keyboard continuo player with 40 years’ experience as an organist and harpsichordist. Andrew was Organist and Director of Music at St Bartholomew-the-Great from 1972 to 1979 where he broadcast with the Choir on BBC radio and ITV, made recordings and re-founded the New English Singers (with whom he performed a wide ranging repertoire ranging from Tudor music to contemporary music), given many first performances, and first London performances, of new works both as a conducor and an organist. During his time as Director of Music at Bedford School from 1979 to 2011, he developed the work achieved in the Music School (“one of the best of the non-specialist music schools” in the words of a reporting inspector) into a cradle for young musicians including a number of composers. He has had a particular interest in new music over a long period, founding and directing the St Bartholomew’s Festivals of Contemporary Music in the City of London in the 1970s and creating the position of composer-in-residence for aspiring young composers at Bedford School. As a conductor, Andrew has performed most of the standard orchestral and choral repertoire and also a large number of first performances of new works. In contemporary music, he has been particularly associated with the music of Paul Patterson and James Lark. He has worked with soloists such as Andrew Manze, Catherine Bott, James Bowman, Catherine Wyn-Rogers, Benjamin Luxon, Carolyn Sampson, Richard Eggar, Michael Freyhan and the late Anthony Rolfe-Johnson. ​As a player, Andrew has given recitals and played in concerts as a continuo player in venues such as the Royal Festival Hall, the Royal Albert Hall, St John’s Smith Square, St Bartholomew-the-Great, Smithfield, St Paul’s, Knightsbridge, St Paul’s Cathedral and King’s College, Cambridge. As a writer, he completed the book Music in Independent Schools for the Bernarr Rainbow Trust in 2014 which is published by Boydell and Brewer. Andrew was a chorister at Westminster Abbey as a boy under Sir William McKie and has retained a passion for English church music in his otherwise busy conducting, playing and teaching career. 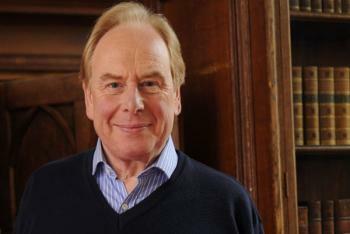 His work and recordings with the Chapel Choir of Bedford School and St Bartholomew-the-Great Choir are well known. He studied at the Royal Academy of Music and the University of London before postgraduate research at Pembroke College, Cambridge, were was also Schoolmaster Fellow Commoner. He has been President of the RAM Club (then the alumni organisation) and the Music Masters’ and Mistresses’ Association. He was The Master of the Worshipful Company of Musicians from 2015-16, a member of the Advisory Council of the Park Lane Group and is Chairman of the Friends of the Musicians’ Chapel at the Musicians’ Church of St Sepulchre’s, Holborn.